Nothing beats the feeling of the wind whooshing past your ears as you cruise around Bournemouth town on your scooter. This is one of the reasons why owning a scooter in Bournemouth is a cool move. Unlike cars or bikes, scooters have several advantages which make them a winner for anyone who as to move around Bournemouth, especially daily. Easy to Ride: Scooters are easy to ride and require minimal training to get the hang of. Fuel Economy: Apart from being cheap, scooters are also a cost-efficient alternative when it comes to fuel consumption since they run on less fuel. Faster in Traffic: Scooters are a great option if you are looking to get out of traffic quickly because they are smaller and can slip through small gaps. Price: Scooters are an incredibly cheaper alternative to cars. Price: Direct Bikes offers the cheapest scooters in Bournemouth. Plus, we also offer you flexible payment options, to make getting your scooter easier. Design: Our scooters come in various sizes, styles, and colours and are customisable to suit your needs. Insurance: A huge plus for us is that we also help you compare scooter insurance deals from to insurance providers. Now you can own a scooter in Bournemouth with ease. 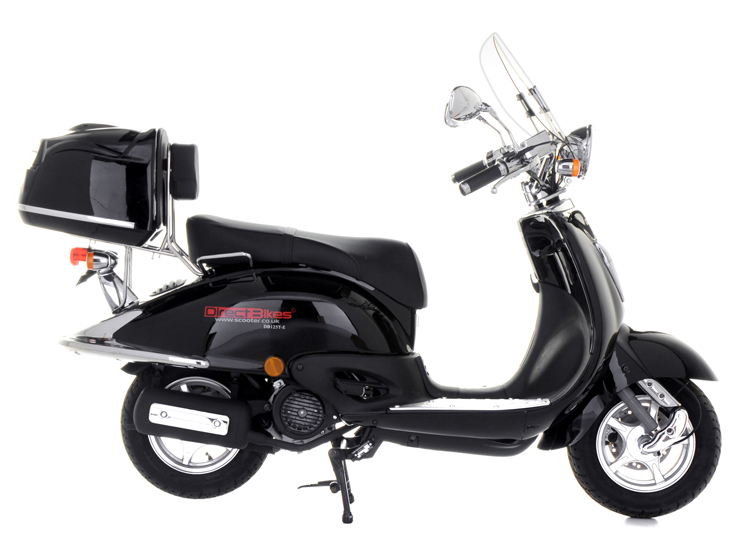 Just fill in your delivery details while making the payment, and we will deliver your desired scooter to you anywhere in Bournemouth. Trust us; we don’t need dealership in Bournemouth to get you the perfect scooter.